The sharks weren’t bothering me, but I was a little nervous about how friendly the stingrays were getting. They seemed to be swimming in circles ensuring they passed right underneath me every time. That would be fine if the water wasn’t only waist deep… I was having visions of Steve Irwin’s last moments. Once I relaxed into the experience it was fine. We were curious, they were curious—we’re all just checking each other out. Snorkelling in Belize is an enchanting experience of great beauty and a little adventure (depending on the breadth of your comfort zone). The Mesoamerican Barrier Reef is the second largest of its kind in the world (Australia’s Great Barrier Reef is the largest). It stretches from Mexico to Guatemala skirting 300km of Belize’s beautiful coastline. A mix of habitats—coral reefs, mangroves and seagrasses—draw diverse wildlife to these crystalline waters. 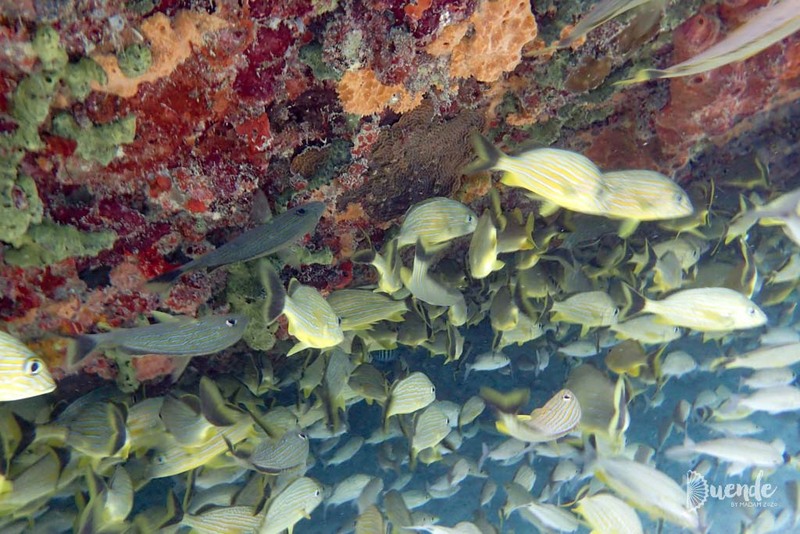 The Reef offers incredible snorkelling and diving opportunities for all experience levels. 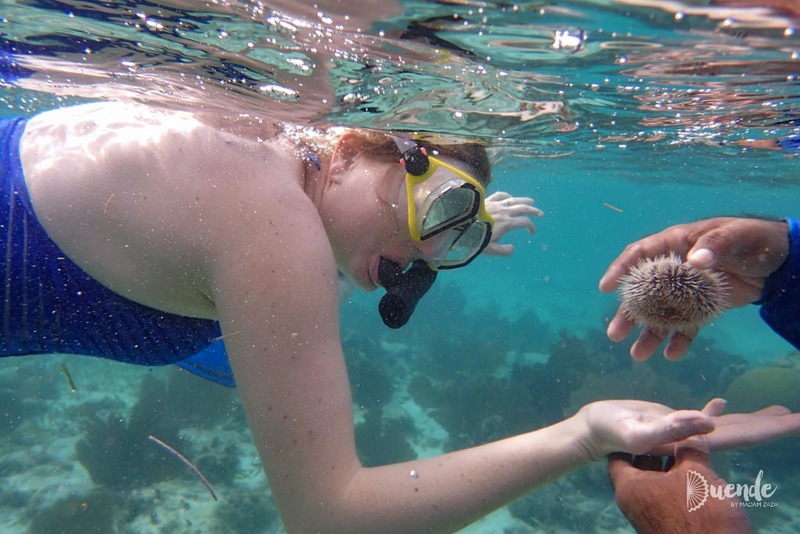 There are countless companies offering half and full day snorkelling tours from the two main tourist islands Ambergris Caye and Caye Caulker. During our stay on Caye Caulker we took to the surrounding depths with the team at Stressless Ecofriendly Tours. They provided us with one of the most fun and informative snorkel excursions we’ve ever been on. We often go on snorkelling adventures in places like the Maldives, Jamaica, Cook Islands, Cuba and Fiji, and are always amazed. However, having a knowledgable guide lead us around the reef, giving regular commentary and pointing out specifics, gave us so much more insight to what we were seeing. There were also opportunities during the day to snorkel freely, exploring on our own. 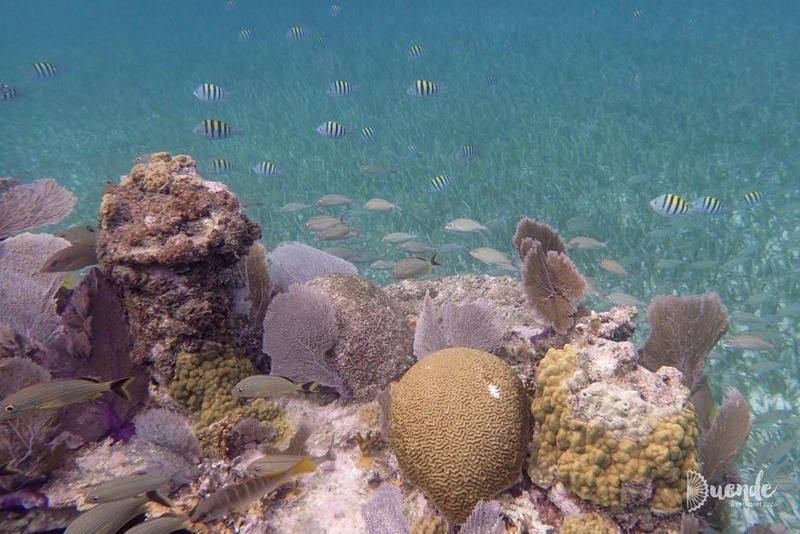 We spent most of our day snorkelling in Belize, inside Hol Chan Marine Reserve. Hol Chan, meaning “little channel” in Mayan, has been a marine national park for over 30 years. 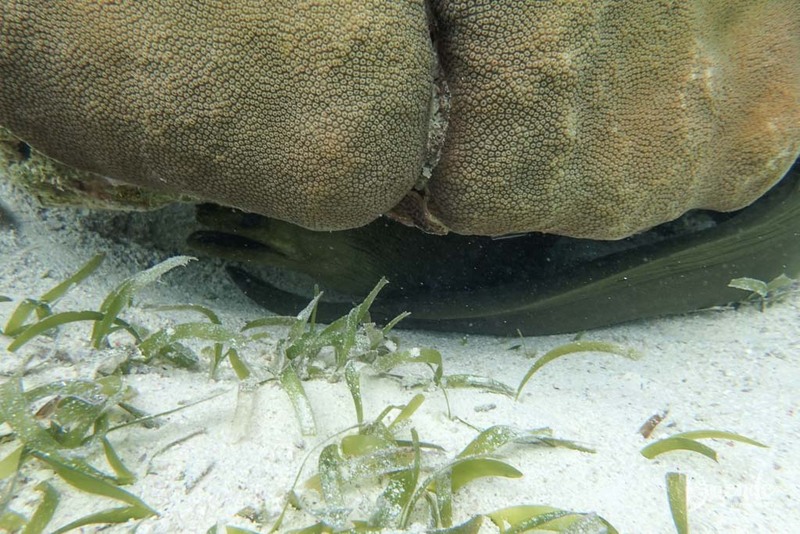 It has 160 documented species of fish and 40 types of corals. Hol Chan is home to manatees and dolphins, not to mention three species of sea turtle. 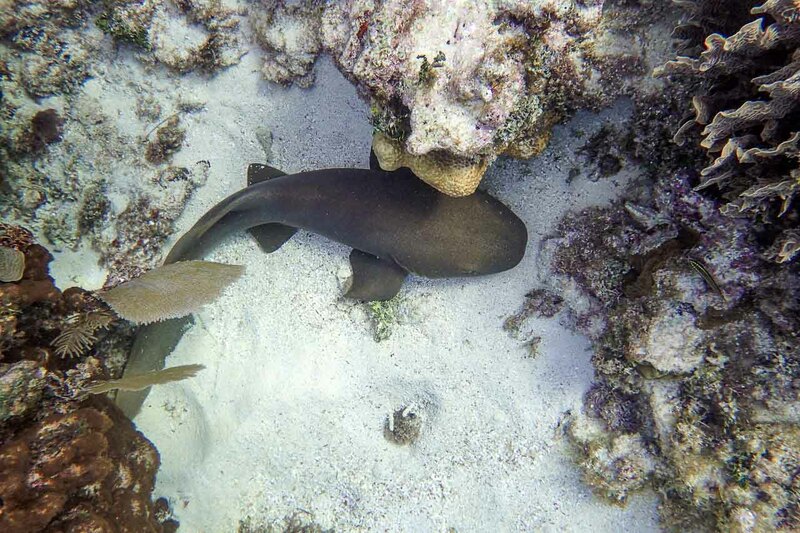 Shark and Ray Alley is a specified Zone in the Hol Chan Marine Reserve that will have you up close, real close, to nurse sharks and friendly stingrays. Here fishermen cleaning their catch has drawn regular wildlife to feed off the scraps. The bottom of the sea is littered with thousands of conch shells. 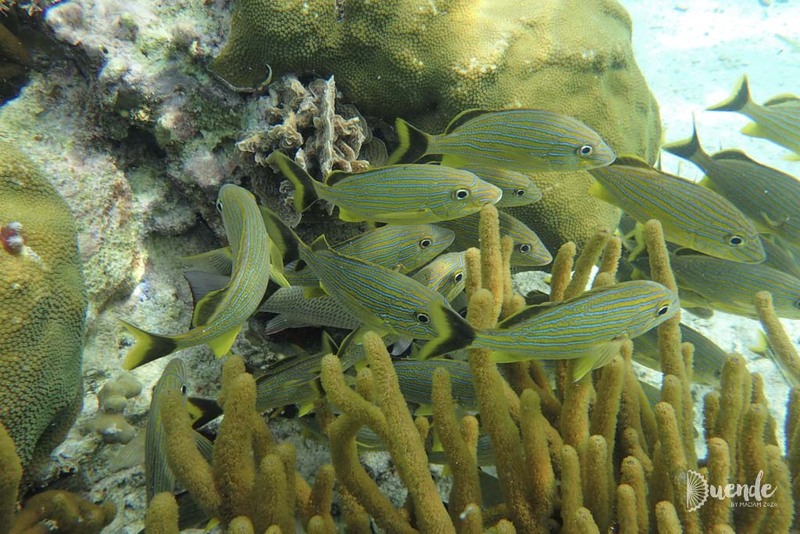 Snorkelling in Belize is good year-round, with different months offering varying wildlife. Of course, we don’t recommend you arrange your trip for hurricane season, June-November, not without good travel insurance anyway. If you turn up around April-May, you have the best chance of swimming with whale sharks. We did this further north off the Yucatan Peninsula, Mexico and it was one of my top travel experiences EVER. The warmer months increase your chances of spotting manatees, sorry they are a protected species so it’s technically illegal to swim with them. If you really want to swim with manatees, head to Crystal River, Florida December through February like we did. 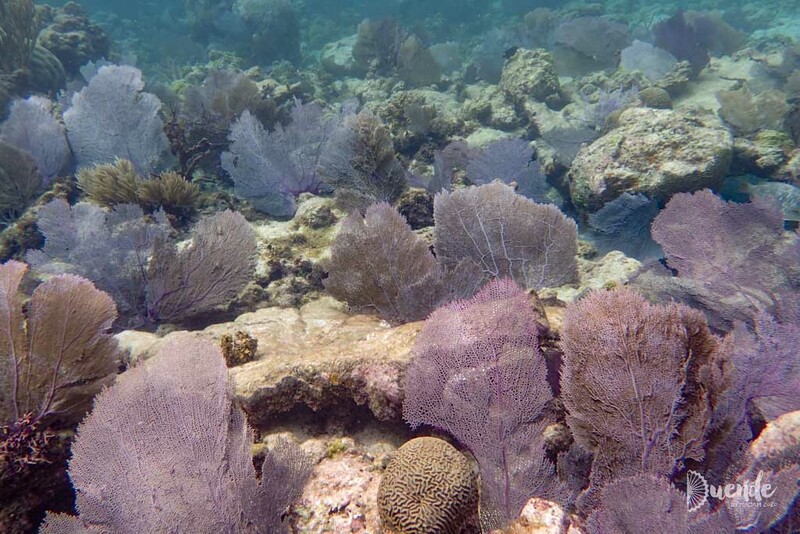 Snorkelling in Belize is world-class. The inspiring interactions with diverse wildlife and sensational coral reefs are easily accessible from its coastline and draw underwater enthusiasts from around the globe. The beauty and adventure of exploring the Mesoamerican Barrier Reef are absolutely bucket-list worthy. 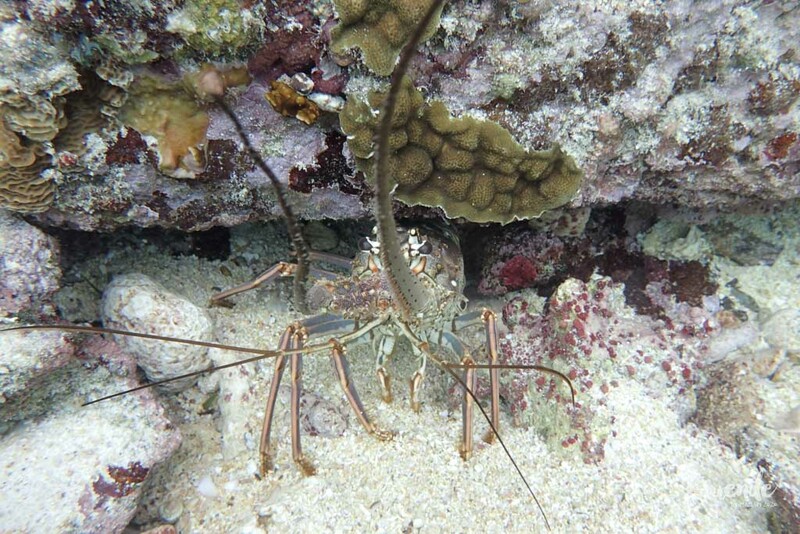 Significant credits for photos in this post go to my husband, who I sometimes think is more fish than human and therefore is a better underwater photographer than I.